Recent data suggested that hypothalamic sero-tonergic neurotransmission may be critical in linking cytokines and the melanocortin system. 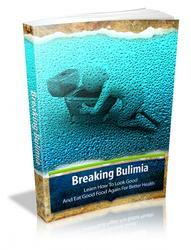 Fenfluramine is a serotonin agonist once widely prescribed in the treatment of obesity. It has been recently shown that fenfluramine raises hypothalamic serotonin levels, which in turn activate POMC/CART neurons in the arcuate nucleus, therefore inducing anorexia and reduced food intake . 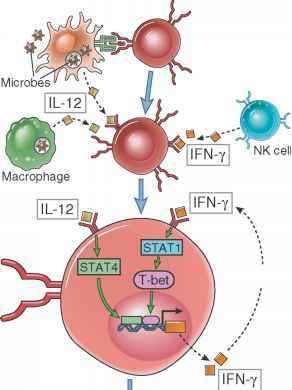 It is also well-documented that cytokines, and particularly IL-1, stimulate the release of hypothalamic serotonin . Thus, it could be speculated that during disease cytokines increase hypothalamic serotonergic activity, which in turn contributes to persistent activation of POMC/CART neurons, leading to the onset of anorexia and reduced food intake. Supporting the role of serotonin in the pathogenesis of anorexia, we demonstrated that in anorectic tumour-bearing animals hypothalamic serotonin levels are increased when compared with the levels in control rats . After tumour removal, hypothalamic serotonin levels normalised and food intake improved . In the same experimental model, intrahypothalamic microinjections of mianserin, a serotonin antagonist, improved food intake . In cancer patients, the activity of hypothalamic serotonergic system is inferred by cerebrospinal fluid (CSF) levels of tryptophan, a precursor of serotonin, the synthesis of which is strictly dependent on the availability of tryptophan . In anorectic cancer patients, plasma and especially CSF concentrations of tryptophan are increased when compared to concentrations in controls and in non-anorectic cancer patients [3, 58]. After tumour removal, plasma tryptophan normalises and food intake improves . Similar data suggesting increased serotonergic activity in the presence of anorexia have been obtained in patients suffering from either chronic renal failure [11, 34, 46] or liver cirrhosis , thus supporting the view that anorexia associated with different diseases shares a similar pathophys-iologic mechanism. It must be acknowledged that partial brain serotonin depletion and antagonism did not result in improved food intake of tumour-bearing animals [52, 60]. However, it is not clear whether the failure to influence food intake in these models was secondary to incomplete depletion of brain serotonin or to the lack of any involvement of serotonin in cancer anorexia . When considered together, we believe that these data suggest that brain serotonin could represent a key factor in the pathogenesis of disease-associated anorexia and thus provide an interesting therapeutic target.